On Saturday, we held our second writers’ retreat. One of the ladies from our PA chapter of ACFW held it at her house, but it wasn’t strictly for ACFW members and we had a nice turn out. There were nine of us this time. If I’m not mistaken, that’s two more than last time. I led another creative exercise in the morning to get our creative juices flowing. Then we had a brainstorming session to talk about our current work in progress or any other writing project we thought we could use some brainstorming. At first, I didn’t think I had anything I needed help with. I don’t have any short projects in the works right now and I don’t seem to be struggling for blog posts either. However, Lisa, the hostess, asked me questions that got me to thinking, and I decided to ask a question and share a scene from my current novel. I’m glad I did because even though it was hard to hear something negative about the scene, it ended up being a big help, and the fact that we had a free writing session immediately following the brainstorming session gave me an immediate opportunity to rewrite the scene, making it much better. After lunch, we had a lesson that Donna led about self editing. I don’t mind saying I did not enjoy this lesson. It was very difficult. I know that self editing is important, and I also know why she had us do the lesson she had us do, but I still didn’t like it. She had us choose a long paragraph from our current work in progress and count the words in it. Then she gave us five minutes to cut that word count in half. After that, she had us count the words again to see how we had done. Then she gave us another five minutes to cut that number in half. This exercise was an epic fail for me. You see, I don’t have very many long paragraphs in my work in progress. I struggle with including enough description to properly set my scenes, but am talented at writing good dialogue and action to keep the story moving. Therefore, I am not an overly wordy writer so it was extremely difficult to cut a paragraph without removing important information. I do understand the need to do this, though. I watched a friend struggle through having to make a lot of cuts to her first novel according to her agent’s guidelines to attempt to find publishers who might be interested in publishing that novel for her. She is extremely happy with the final results but she struggled and worked extremely hard to get there. That is not to say that I am not willing to struggle and work hard to put out a really good final product, but I don’t think I will go about it the way that Donna had us do. I know I will start by looking for all of the “over used” words. You know, words we use over and over again because we tend to write like we talk or think. I know I will have to change, cut and find synonyms to correct this problem. I’m sure there will be other things I will have to cut as well, but I’m not really ready for that stage just yet and I need guidelines to be able to determine what really needs to be cut and what doesn’t. How about you? What have you experienced with self editing? Several months ago, I received an email from my writing friend, Lisa at Lisa’s Musings, talking about the possibility of having a Winter Writers’ Retreat. She asked me for ideas and she shared her ideas with me. Then we talked about what the schedule might look like and how we could keep it very low cost by simply having a simple lunch of sandwiches and salads and a dessert, with drinks and snacks available throughout the day, and the lunch would be all that each person would have to pay for. Lisa also ran the idea by our friend, Donna at Donna L. H. Smith, who helped with some activity planning, getting the word out and registration. 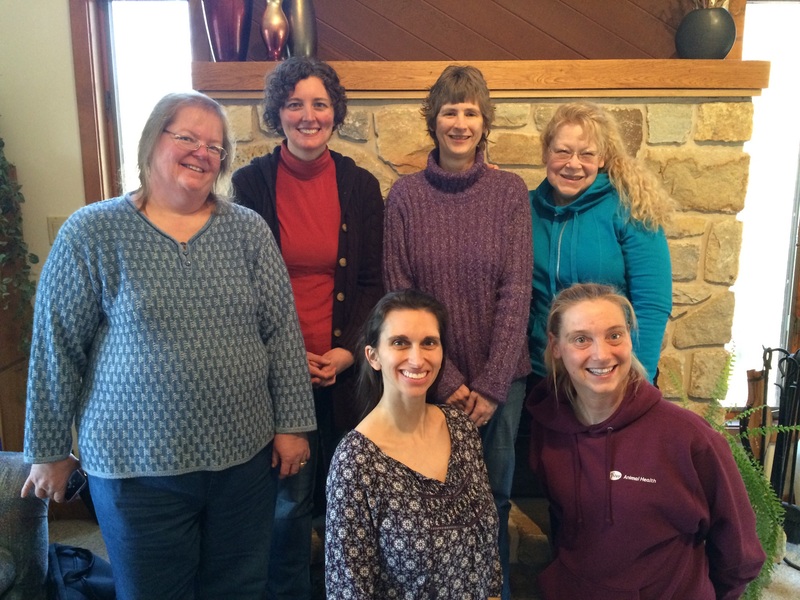 So, this past Saturday, February 27th, seven (counting Lisa) of us got together at Lisa’s house for this retreat. Donna asked us to introduce ourselves and share what type of writing we do and how long we’ve been married and how many children we have. Then she opened with a devotion and prayer. Therefore, after the opening devotion and prayer, I led a creative writing exercise. I was relieved when everyone found the exercise to be so much fun. The next thing we did was break into two groups and we each shared about something we are currently struggling with in our work in progress, whether it was a plot problem, problem with a character or with the setting, or something else. Then the others in the group helped to brainstorm to come up with ideas to work the problem out. During lunch we had conversation about upcoming writers’ conferences, what we thought of the retreat up to that point, self-publishing and the possible challenges that would include, flash fiction and blog writing. After lunch we had a critique group, where Lisa shared the critiquing process — a way to help and encourage the writer, not rip their work to shreds — to begin with a positive, then point out something that could use some work or fixing up with an idea or suggestion for that, and concluding with another positive. These things need to be specific to be of any real help to the writer and the people doing the critiquing need to consider the Big Picture. We ended with another prayer and an excerpt from a book that Lisa recommended for encouragement. I cannot speak for any of the other ladies, but I found this day so very helpful. 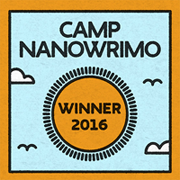 I was able to leave there with a fresh excitement about writing, especially working on my work in progress. I had been struggling with something before that and so the brainstorming for story problems was a huge help with that. I also really enjoy being able to share with other writers because they understand me and I understand them. We can help and encourage one another and that is so valuable. Everyone left with a desire to do another retreat in the future. This was the great group of ladies who attended, minus Donna, who took the photo. I encourage all of you who write to find a group of writers you can spend time with talking, sharing, brainstorming, problem solving, and encouraging one another. You may even want to consider starting your own small writers’ group or hold your own small simple retreat like the one we just had. Writing is a solitary activity and can be stressful. It’s good to step out of your writing closet and breathe some fresh air and spend time with others who understand your struggles and the way your mind works (you know, that you talk to your characters and stuff). Have you been to a writers’ retreat? Do you belong to a writers’ group?